Leah commenced her Conveyancing career in 2002 in a small Practice in Sydney’s South West. She spent a number of years employed as a Conveyancing Secretary before completing her studies with Macquarie University in 2006 and obtaining her Conveyancing License. She spent the next few years working in Conveyancing Departments of Legal Firm before making the decision to become a Locum Conveyancer in January 2014. 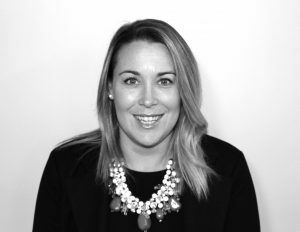 As a Locum Conveyancer, Leah travelled to various Conveyancing & Legal Firms within New South Wales to assist Conveyancing Practitioners in the day to day running of their businesses and meeting the needs of their clients. She worked in Firms from the Sydney CBD, to Rural NSW as well as regular work assisting small suburban practices. Leah takes great pride in her adaptability to each and every Firm she worked for and prides herself on ensuring that the needs of each client are met with a knowledgeable and down to earth approach. She has dealt with all clients from high end Investors & Developers to First Home Buyers, maintaining close relationships and ensuring smooth transactions. Leah joined Uther Webster & Evans in 2016 and practices in the Conveyancing & Property Division alongside fellow Licensed Conveyancer, Kim Pearce. From her previous experience, she has gained a wealth of knowledge in all different aspects of Property Law and has recently started implementing the PEXA System into the Firm. Land Tax Registrations & Certificates Clearances.